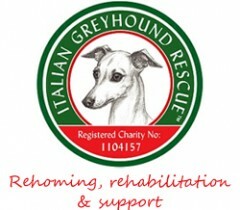 A key area of work for the Italian Greyhound Rescue Charity is providing help and support to owners on the health and general welfare of Italian Greyhounds. Many people contact us who have an Italian Greyhound from a breeder who is no longer able or willing to provide them with the advice and support that is needed by most owners new to this unique breed. We provide general information on Caring for an Italian Greyhound on this website covering all aspects of the care of Italian Greyhounds. Our volunteer team of breed specialists is also able to provide individual advice to owners who may be experiencing a significant health or welfare issue with their Italian Greyhound, or perhaps just have a question about how to best to care for their Italian Greyhound. Please note that we do not provide qualified veterinary advice and you should always contact your vet in the first instance if your Italian Greyhound is in immediate need of medical care. If you have a question or are concerned about your Italian Greyhound please contact us on: info@italiangreyhoundrescuecharity.org.uk.